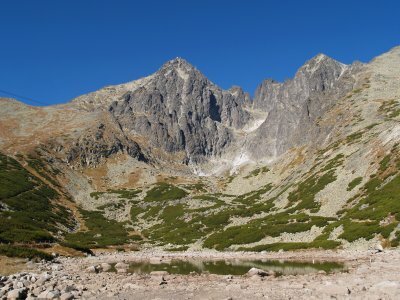 Initiated by the world-wide activity of the International Geophysical Year 1957 construction of an astronomical observatory on the Lomnicky peak was realized in the period 1957-1962. Here, at really a high-altitude height of 2 632 meters above sea level, a 20/300 cm ZEISS coronagraph was installed in 1962. 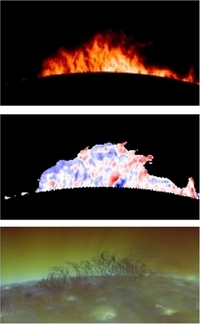 First regular observations of the H alpha prominences started in 1962 and observations of the emission lines, originating in the solar corona, in 1964. 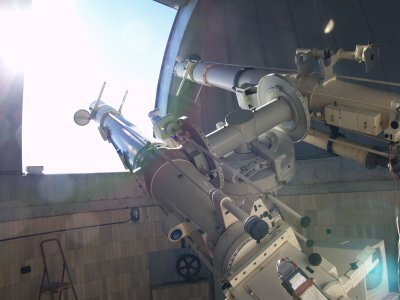 In 1970 an identical telescope was installed at the same mount. Today, the observatory ranks among just few existing ground-based observatories worldwide which systematically observe emission spectral lines of the solar corona. 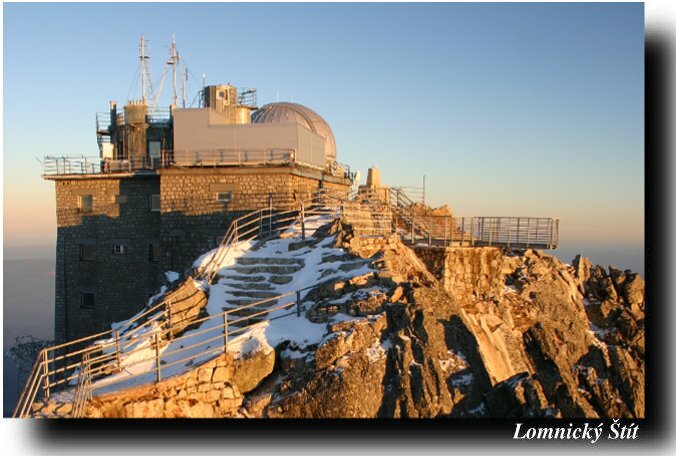 Researchers working at the Lomnicky Peak Observatory has prepared and maintain two long-term data sets of the solar coronal activity. "The Homogeneous Data Set of the Green Coronal Emission Line Intensities" is compiled from the data of all coronal stations over the world since 1939. "The Green Coronal Index" is prepared on the base of the previous data. Patrol observations of the green coronal emission line continues also nowadays. "The Catalogue of the Solar H alpha Prominences" is prepared based on measurements performed at the observatory itself and since 2009 it is extended using observations performed by the Kanzelhoehe Observatory for solar and environmental research (Austria). 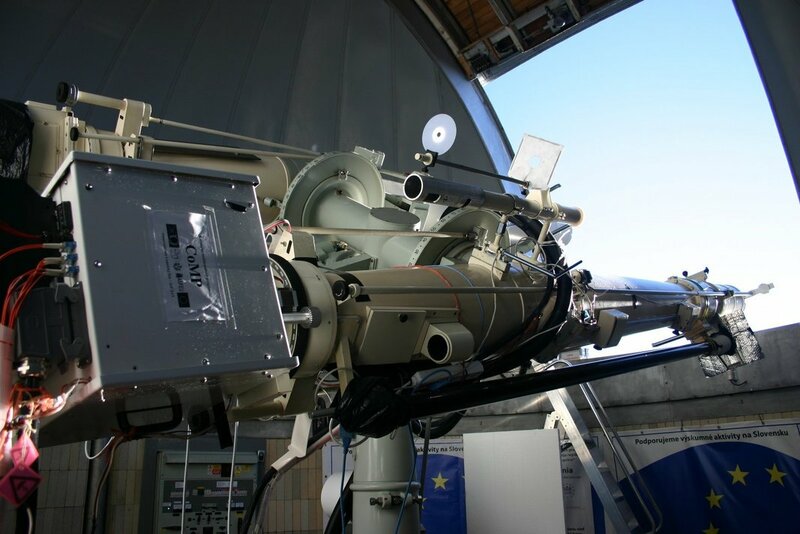 In 2011 there has been installed at one of our coronagraphs a new instrument - Coronal Multi-Channel Polarimeter (CoMP-S) which is now in the commissioning phase. At the peak of the Lomnicky stit mountain there is also located Neutron Monitor of the Department of Space Physics of (Institute of Experimental Physics in Kosice (Slovakia). This instrument is continually in operation since December 1981 when it replaced the older one. 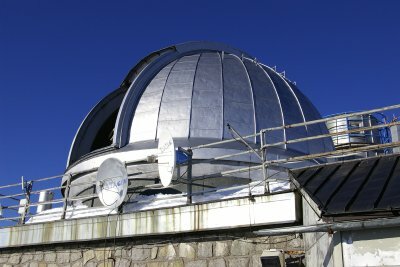 Hereafter some pictures of the Lomnicky Stit Observatory and its instrumentation are given. Post-focal equipment CoMP-S at solar coroagraph.